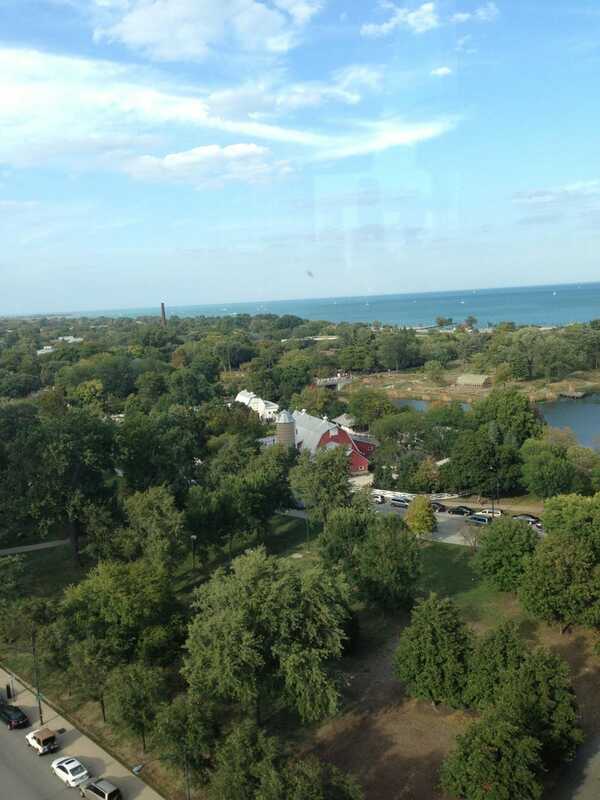 This pic doesn't even do it justice, but this is the view of the Lincoln Park Zoo and Lake Michigan from the rooftop bar of the Hotel Lincoln. Guyguise and I went there today as part of a pub crawl to revisit our old dating haunts in Old Town. Still crawling, so to speak, but I took a quickie smoke break (I know, gross, don't hold it against me) and felt like sharing. The lake was such a beautiful blue today. That color just makes me happy. ETA: if I don't respond right away, it's just because we're still out and about, reminiscing. ETA 2: changed the headline. Show me where you are right now!